Domènec Torrent, Ben Sweat, Jonathan Lewis and Maxi Moralez give their thoughts after a 1-0 win over the New York Red Bulls. 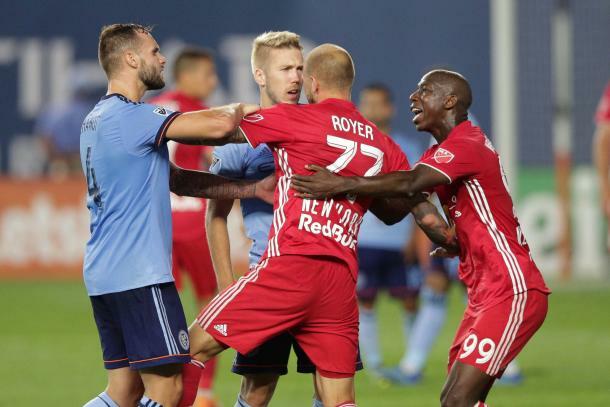 On Sunday, New York City FC welcomed Hudson River Derby rivals, New York Red Bulls to Yankee Stadium for the first of two meetings at the venue this season. 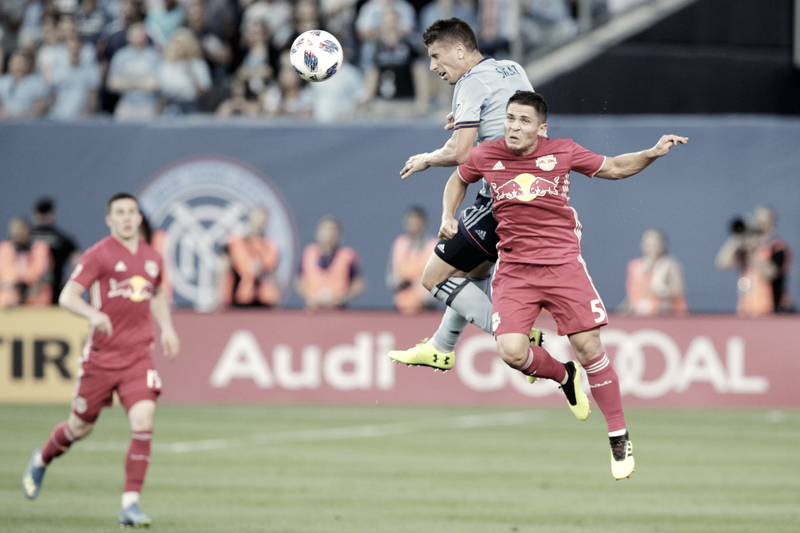 This was the third meeting of the season, however, as RBNY picked up 4-0 wins in both the U.S Open Cup and MLS at Red Bull Arena earlier in the season. The match ended 1-0 in favor of the hosts as Maxi Moralez's 85th-minute goal was enough to give the blue side of New York all three points. It was Jonathan Lewis' hustle who made the goal possible as the substitute changed the way the game looked entirely. Darting onto the field when his name was called in the 76th minute, Lewis signaled to acting captain, Alex Ring, that the side would be switching to a 4-4-2 formation, which Domènec Torrent acknowledged after the match. Following the match, Domè said "The last 20 minutes we were in trouble, I decided to play 4-4-2 with a fast player like Jonathan. I’m very proud of our players. It was not easy to play in this intensity and they played with soul. The most important thing, I say many times, you have to play with passion in derbies especially." Ben Sweat, whose first-ever NYCFC goal came against RBNY last season, put in another solid 90-minute outing against his club's biggest rivals. When asked about the win, Sweat said "You know, no matter who we play against, it’s always sweeter against the Red Bulls. We always have that in the back of our minds. But you know, we went out there and we executed our game plan. We were physical. We worked hard. And that’s how we have to be at home." The defender finished off those thoughts with "It’s good we came out on top. We definitely deserved it." NYCFC remain at home as they're set to play two games at home in the six days following the Derby. Midweek, NYCFC will welcome the Montreal Impact, who will head into the match on a four-game win streak before welcoming the Columbus Crew at the weekend, who have cooled down after a hot start to the campaign. The Boys in Blue will be hoping Domènec Torrent can lead them to more success.